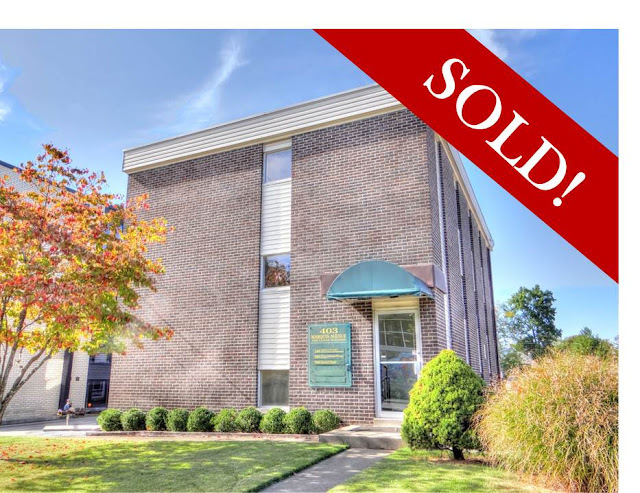 NAI Isaac Commercial Properties recently negotiated the sale of a 3,864 SF office building located at 403 Marquis Avenue in Lexington, Kentucky. The facility was purchased by Meadowthorpe Mall, LLC who plan to occupy the property. Chad Voelkert, Vice President and Jamie Adams, CCIM, LEED AP, Senior Associate with NAI Isaac represented the Council on Licensure, Enforcement and Regulation, Inc. during the sale. Jason Taylor with Equity Management Group represented the Buyer. NAI Isaac has sale and leasing opportunities across the Central Kentucky area. Please contact us today for any of your commercial real estate needs!